Since the Health and Social Care Act 2012, NHS England is responsible for the routine commissioning of national screening and immunisation programmes under the terms of the Section 7a agreement. This Act introduced changed roles for commissioners of immunisations, the detail of which is outlined in the Immunisation & Screening National Delivery Framework & Local Operating Model. In London, commissioning of the 18 Section 7a immunisation programmes is done by the NHS England (London) immunisation commissioning team. This team comprises of Public Health England and NHS England staff who work together to improve the uptake and quality of commissioned vaccination services in London. These services are provided through general practice, school aged vaccination teams, pharmacies, maternity services and some outreach services. Up-to-date information on vaccinations is provided by the team to all general practices through the monthly GP Bulletin. We also have a London Immunisation Update from April 2018. If you are a health professional and would like to subscribe to this update, please contact ENGLAND.londonimms@nhs.net. We recommend that you also subscribe to Vaccine Update. If you are an immunisation service provider and you would like to report a vaccine incident, please contact us on england.londonscreening-incidents@nhs.net . For all other queries, including payments, please contact us on ENGLAND.londonimms@nhs.net. NHSE has guidance on how to claim through CQRS and a FAQs sheet. For NHSE (London)’s advice for vaccine payments outside Section 7a programmes, please click here. For NHSE (London)’s Section 7a Hepatitis B programme protocol, please click here. All Dried Blood Tests (DBS) for the 12 month blood test can be ordered from england.dbskits-london@nhs.net. NHSE (London) have produced a list of codes to help with the recording of childhood immunisation vaccinations, please click here for details. Parent invite and reminder systems (call/recall) are the most effective way to improve uptake of childhood immunisations. We have developed best practice guidance to help our London based general practices. A Good Practice- Immunisation Invite Reminder Poster version is also available. Public Health England develop and publish Patient Group Directions (PGDs) for vaccination service providers which NHS England (London Region) is required to authorize and publish. As these are published, NHS England London Region will authorise them and then publish them on this website, and will replace any existing NHS England London Region PGDs. They will be identified as NHSE/PHE PGDs to differentiate them from those developed by NHS England London Region. Not all vaccines included in the suite of individual vaccine PGDs may be commissioned from every service but these have been included for completeness. The development and authorisation of these PGDs is supported by a PGD Policy. 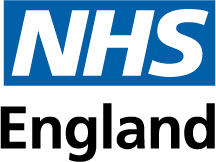 The PGDS on this NHS England London Region’s webpage must only to be used by specified healthcare professionals in the London Region area working for providers that are either directly commissioned by NHS England London Region or who are administering vaccinations as part of a national immunisation programme.